You heard me right! 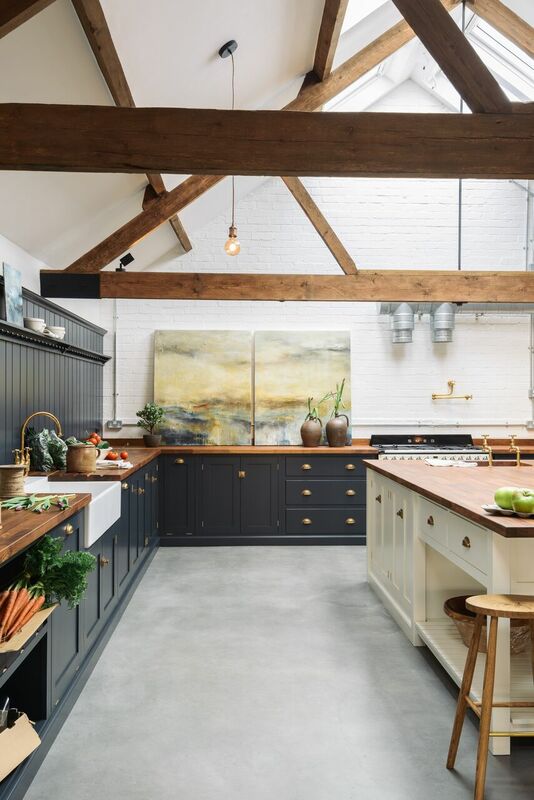 This amazing kitchen used to be a cattle shed! 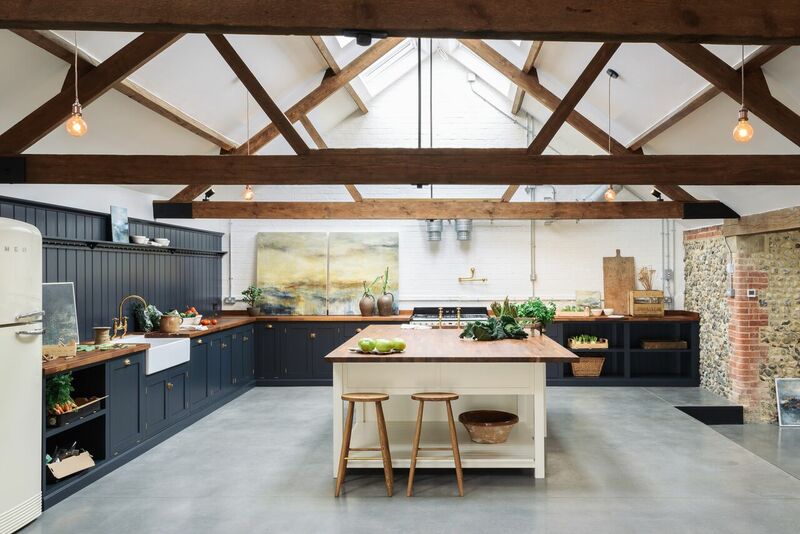 deVOL kitchens have done it again. 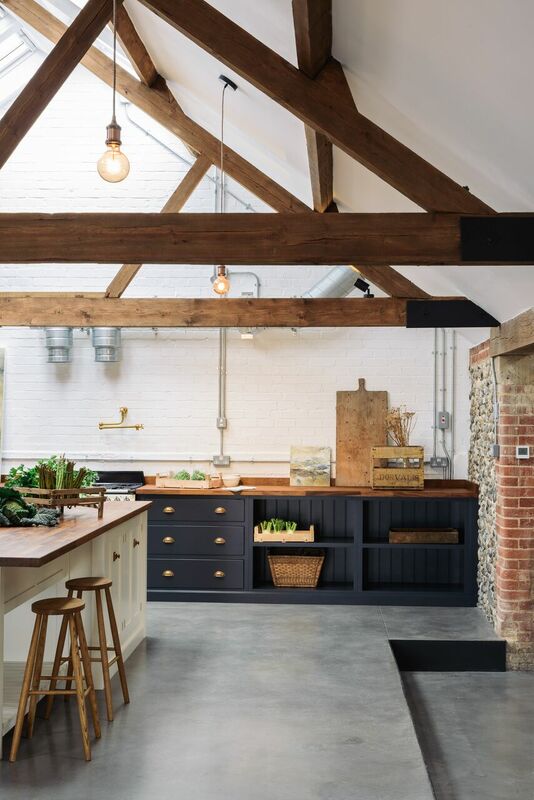 This renovated cattle shed is one of many that was brought back to life in North Norfolk. The space serves as a family hangout on the weekends and an idyllic retreat for paying customers. As you can tell, this kitchen is huge, and merges a style that is both industrial and country. I love the rich wooden counter tops, brass cabinet hardware and large deVOL Aged Brass Pot Filler Tap. The huge island also provides an amazing workspace and place to gather around. 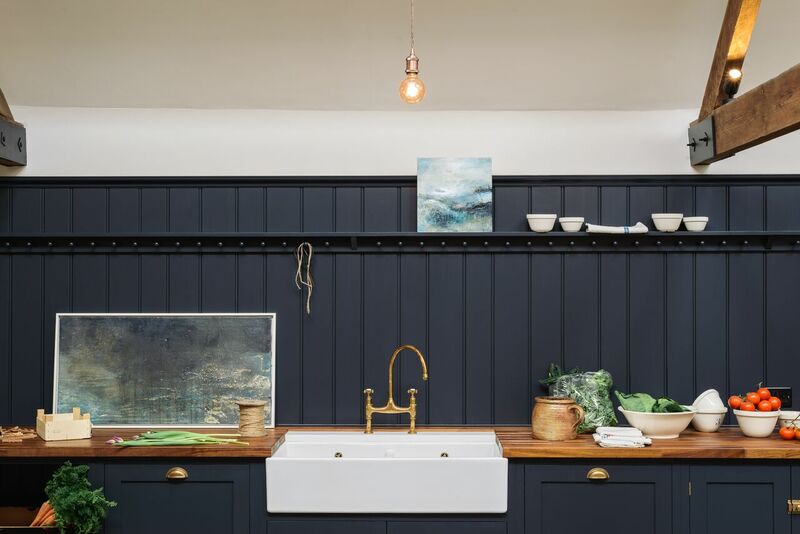 I also adore the dark blue paint used on the cabinets. Like this kitchen? 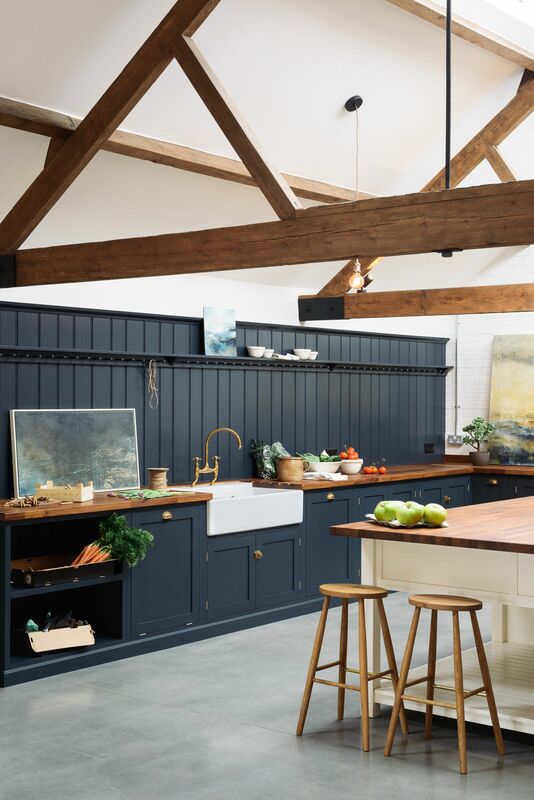 Check out our other deVOL kitchen post. Next article250 year-old thatched cottage gets an amazing renovation! @aundrea Thanks and sorry for the technical glitch!